When a person decides to start a diet, most would assume that their end goal is to lose weight. 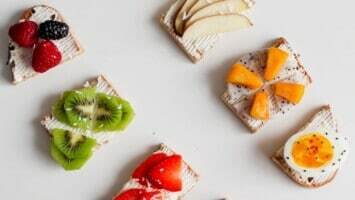 While the vegan diet surely aids in sustaining a fit stature, it is salient to note that the importance of transitioning eating habits circulates the need to improve the body’s health overall. 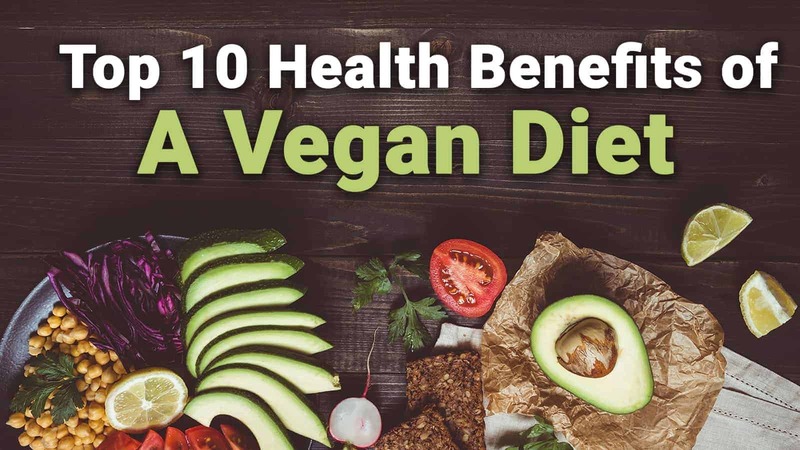 From regulated blood pressure and heart health, to maintained blood sugars and appropriate vitamin levels, veganism ensures that the word “diet” is not something to be dreaded, but something that simply describes the way a person cares for themselves and reaps the benefits of doing so. Important in stimulating the kidneys to rid the body of toxins due to its ability to balance water and acid in the body, potassium is found to also assist the body in warding of harmful, cancer-causing free radicals. In 2014, the World Health Organisation stated that eighty to ninety percent of heart attacks result from a person’s lifestyle choices and not necessarily genetics. Because of this unsettling statistic, the vegan diet grew further in popularity because, after all, eliminating dairy and the high fat content found in meats drastically reduced high blood pressure, heart disease, and strokes. Dean Ornish, MD, led a study in which ninety three men who positively tested for prostate cancer or cancer-causing components were studied. Those who switched to veganism drastically improved in any negative areas of health, which lead to a breakthrough for preventing the cancer entirely. 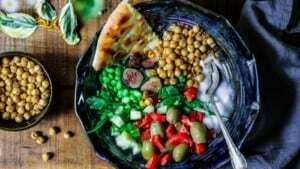 While evidence does not prove that veganism cures nor prevents breast cancer in women entirely, studies have shown that women who follow a plant-based diet are better able to fight off cancerous tumors in the body, according to the Harvard T.H. Chan School of Public Health. Vegan diet health benefits in relation to a person’s physical appearance undoubtedly surround the fact that such a way of life is calorie-friendly. Because of this, a person’s body mass index (BMI) lowers, leading to weight loss, lean statures, and the ability to be more physically fit due to an increase of energy. The expression, “You are what you eat” was not ill conceived. A diet high in unhealthy fats, additives, and chemicals results in some unsightly issues, including body odor and bad breath. 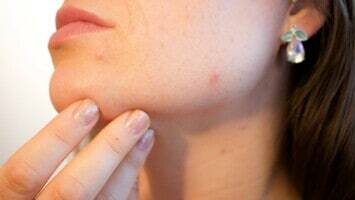 People who eat a lot of red meat and dairy often have to combat body odor by applying strong deodorants, but those who eliminate these groups from their diets find that they smell better naturally. The same theory can be said for bad breath and overall oral health. Migraines and allergies are issues that society has made fairly common in order to push over the counter medications. In all reality, however, allergies and migraines are often triggered by unnatural lifestyles and compromised immune systems. In a study conducted in Washington DC, migraine sufferers placed on a vegan diet reported a significant reduction in their overall migraine pain. The vegan diet health benefits go as far to abate other pains in the body naturally, like cramps from menstruation as well. There is such thing as getting too much nutrients and vitamins, and the side effects of such can be devastating. Studies show that those who eat red meat and poultry often are, in fact, receiving too much protein that the body cannot quickly process. Too much protein in the body can result in weight gain, kidney disease and failure, and the loss of calcium which causes osteoporosis. Further vegan diet health benefits support the idea of the body processing reasonable amounts of nutrients naturally and more effectively. Too often, humans are forced to believe that their bodies are failing them when they are unable to eat certain foods when in all reality, the body’s response to certain foods is natural and its way of saying “Stop it!” About sixty five percent of the population is lactose intolerant, a fact that is often demonized because society wants people to believe that milk is good for them. However, the human body is not meant to process cow’s milk, especially after a certain age, further validating the importance of veganism. 9. Veganism Benefits the Environment, Too! While the vegan diet health benefits are undeniable, it is important to note that the environment reaps the riches of the lifestyle as well. Less resources are required to farm plants than to grow animals, reducing waste and the use of our natural resources. If the environment is healthy, you are, too. Perfectly good food is more easily available to animals factory raised for slaughter rather than those starving in underdeveloped nations. Switching to veganism results in less animals needing to be factory farmed, thus leaving edible resources to those who need it more. In sum, veganism is not only a lifestyle choice but perhaps the most natural way to live. Life’s essential nutrients rarely come from animal products alone and that reality has resulted in a healthier society as well as a planet sure to reap the benefits of conscientious people. From the reduction of contracting serious diseases to understanding the human body and its responses better, veganism is an ancient way of life that has fueled humans and the planet for thousands of years.